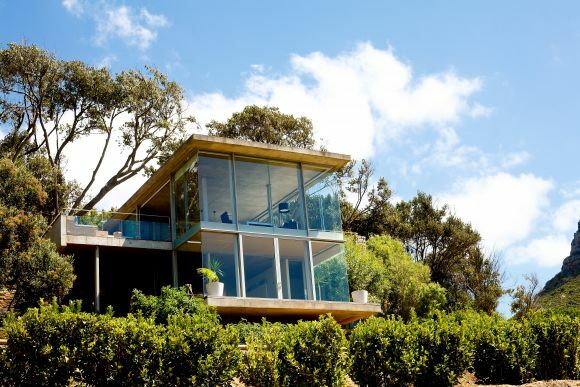 Think The Shire with a modern-day twist and you may come close to the boutique wine farm that is Beau Constantia. Close, but not quite on the money, because chances are you have never experienced a wine tasting in a venue quite like it. A rolling green embankment is the first thing you see as you walk down from the parking, but what grabs you is the squared, brick structures, sitting alongside huge glassed companions at the top of the hill. It is quite simply breath-taking. The view from inside the venue is even more impressive. 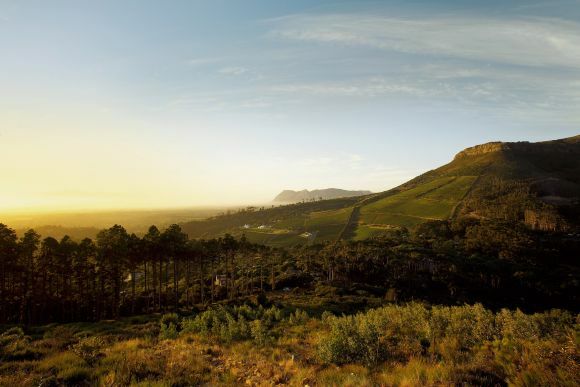 With the wine farm situated on the north-facing slope of Constantia Nek, you are treated to panoramic views of the Stellenbosch and Helderberg Mountain ranges and over False Bay as far as Hangklip. Jaw-dropping. 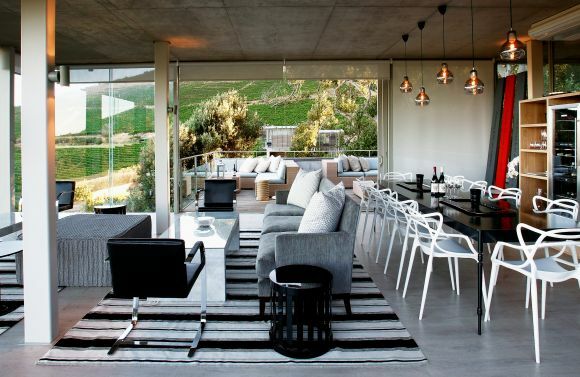 The wine here is equally as impressive, while the staff is knowledgeable and warm and another plus is that it is in close proximity to the Cape Town CBD and Southern Suburbs. All-in-all, that makes for a winning combination. We tasted four wines during our tasting starting with the Pas de Nom white blend, followed by the Pas de Nom red blend. The Pas de Nom range of wines has an interesting backstory as they have been dedicated to farm manager Japie Bronn who is recognised for his endless dedication to the vineyards and wine production at Beau Constantia. But being incredibly humble and reserved, Japie did not want his name on the bottle, so instead the range went with Pas de Nom and paid tribute to Japie by featuring his signature beard on the label. Next up was the Lucca a classic Bordeaux-style blend of 63% Merlot and 37% Cabernet Franc, a full and rich red with hints of blackcurrant and Morello cherries. Very nice. The Aidan Shiraz was the last we tasted and was by far my favourite. With a darker texture and a bold, fruity taste, it was incredibly easy on the palate and a couple of bottles will not go amiss in the wine rack at the homestead. On top of the wine tasting, Beau Constantia also offers a sushi menu from Sushi Box – both upstairs and downstairs – cheese platters, craft beers and wines from around the greater Constantia Valley.